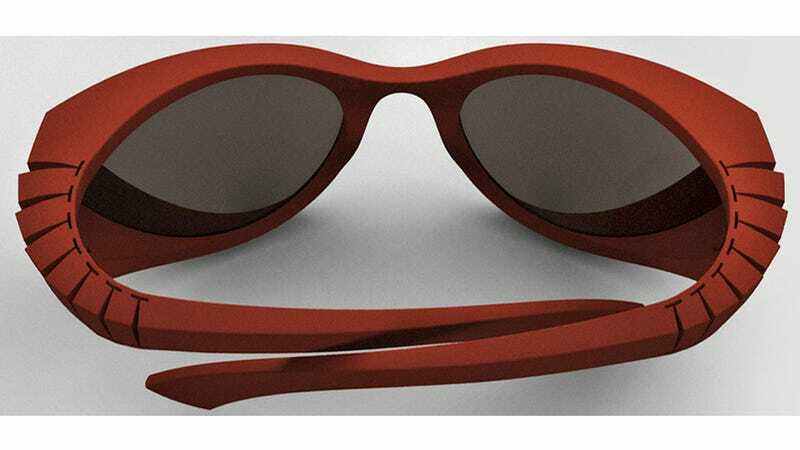 In addition to the adjustable A-Frame glasses designed to fit any face, Ron Arad also created another unique set of sunnies called the Corbs that eschew a traditional hinge for a design inspired by a skeletal vertebrae. His design team apparently spent a bit of time studying how an animal's vertebrae actually works, allowing the spine to bend in only one direction. And they applied what they learned to the Corbs which feature a slatted design on the outside of the glasses' arms so they can bend inwards, but never out. That approach also tends to naturally squeeze the wearer's head providing a snugger fit, although, their unique designs are only going to benefit those interested in sporting the latest en-vogue accessories.